Charlotte Field (Charlize Theron) is one of the most influential women in the world. Smart, sophisticated, and accomplished, she's a powerhouse diplomat with a talent for... well, mostly everything. 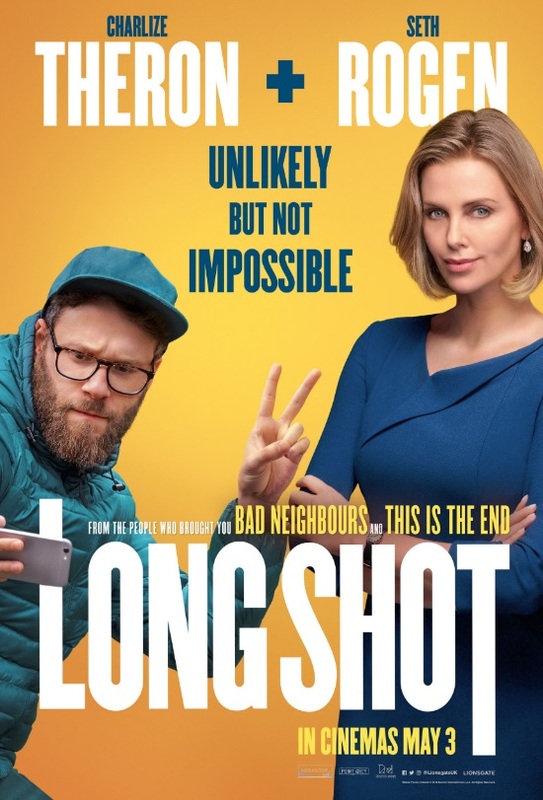 Fred Flarsky (Seth Rogen) is a gifted and free spirited journalist with a self-destructive streak. The two have nothing in common, except that she was his baby sitter and first crush. When Fred unexpectedly reunites with Charlotte, he charms her with his self-deprecating humor and his memories of her youthful idealism. As she prepares to make a run for the Presidency, Charlotte impulsively hires Fred as her speechwriter, much to the dismay of her trusted advisors. A fish out of water on Charlotte's elite team, Fred is unprepared for her glamourous and high stakes lifestyle. However, sparks fly as their unmistakable chemistry leads to a round-the-world romance that becomes embroiled in a series of dangerous and outlandish incidents.